So, let me start with saying go get this movie. No if, ands or buts about it Hulk vs. will definitely blow your mind and make yourself wonder why in the hell can’t they do this in the movies? First we have Hulk vs. Thor, Asgard home of the gods is vulnerable because, as they explain, Odin (voiced by French Tickner) the father of the gods had to recharge and since his power can’t protect Asgard, every monster, troll, and villain attack at this time. Asgard has it’s warriors protecting it like Volstagg (voiced by Jay Brazeau), Fandral (voiced by Johnathan Holmes), Hogun (voiced by Paul Dobson), Balder (voiced by Michael Adamthwaite) and of course Thor (voiced by Matt Wolf). While the fight is going on Thor’s brother Loki (voiced by Graham Mctavish) and Amora (voiced by Kari Wahlgren) bring Bruce Banner (voiced by Bryce Johnson) to their world and with magic separate Bruce from Hulk (voiced by Fred Tatasciore) and give control to Loki. Loki uses Hulk to attack Asgard and almost kills Thor until Hulk breaks free of the mind control and then kills Thor. Amora who was Thor’s love takes pity on the Hulk and brings him back to life. Meanwhile, Loki kills Bruce Banner and sends him to hell. Hulk goes on his rampage destroying everything and Thor takes Loki to hell to get back Bruce’s soul so they can combine them again. I won’t tell you anymore even though I can tell you the entire thing and you still will want to see this. 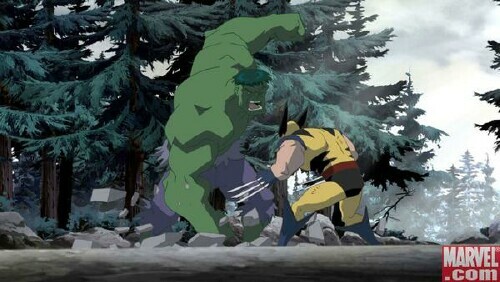 Now, I bet your saying no way can this get better but let me tell you it does with Hulk vs. Wolverine. 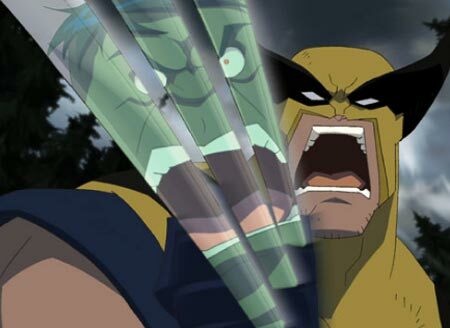 Wolverine (voiced by Steve Blum) is hired to either capture or kill Hulk because the military believes he destroyed an entire city. We find out later that it was actually a group called Weapon X led by The Professor (voiced by Tom Kane) who is responsible for the adamantium in Wolverine. Weapon X also consists of Sabretooth (voiced by Mark Acheson), Deadpool (voiced by Nolan North), Omega Red (voiced by Colin Murdock), and Lady Deathstrike (voiced by Janyse Jaud). They want to capture Hulk and make him the ultimate weapon. Wolverine helps Bruce escape then tells him they need the Hulk. Bruce explains that he only turns into the Hulk when he is enraged and that they have sedated him. So Wolverine does what he does best: enrage Bruce by stabbing him. Hulk comes out and starts to destroy everyone, including Wolverine. He definitely didn’t see it coming. It ends with everything destroyed, and Hulk and Wolverine continuing in their battle that we don’t see cause it ends. In Hulk vs. Thor everything is good especially the ending where they show the old Bruce Banner ending with him just walking down a road just like the old TV show, the voices are perfect with every character in both series. 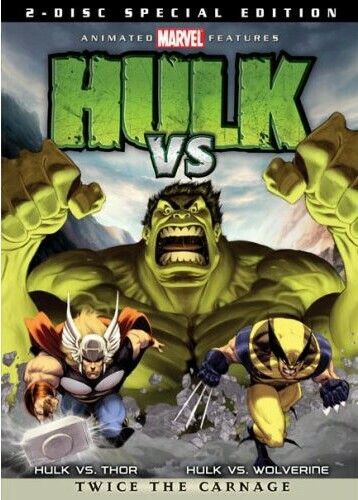 With Hulk vs. Wolverine almost everything is great lots of blood, lots of fighting, great storyline. 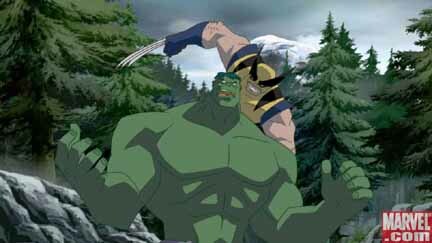 Just the ending of Hulk vs. Wolverine I believe they could of let them fight one more time with one of them winning. So in conclusion, Hulk vs. is a great piece of work the drawing, voices, storyline, everything is a Hulk Smash!!! I’m giving the movie 4.5 stars and it has been Epic-1 tested and TOV approved!!! Peace up out!! !